Come experience an unforgettable helicopter air tour over the beautiful Grand Canyon! Please call 702-736-7243 and Book to take advantage of this limited time offer! *Mention "Sedona-Chamber" to book this special offer. 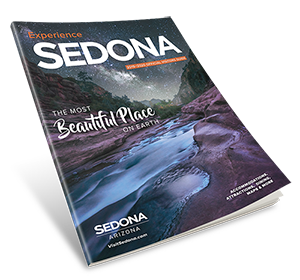 Welcome to Sedona's Spiritual Spa! At Gateway Cottage Wellness Center, we are devoted to holistically empowering our clients to discover and achieve their optimum wellness potential, by offering services to improve mind, body, and spirit. Our exceptional healing practitioners provide a multitude of healing services in a beautiful, safe, and nurturing environment. We are delighted to offer 11% off any healing service for you and friends. Please refer to Gold Keys when you phone. Thanks! Fiesta Mexicana Restaurant & Bar will have the Rapido Lunch for $7.99 with a Free Soda from 10:00 am - 3:00 p.m. Enjoy the Best Mexican Food in Sedona! Planning a Heart Space moment for yourself & your loved ones is the beginning of a creating a special memory for life. Delight in the pleasure of our Heart Space sessions, each individually designed to rekindle, nurture & balance your body's own natural healing rhythms. Save 15% off session list by booking any of our Heart Space Special Sessions & discover the distinction of the blending of multiple, world renowned healing modalities with one intent to Sooth, Relax and Renew Your Body and Soul.